Besides our powerful eCommerce functionality, VK Cart contains a full featured content management system which lets you manage your entire website’s navigation, content pages and design. 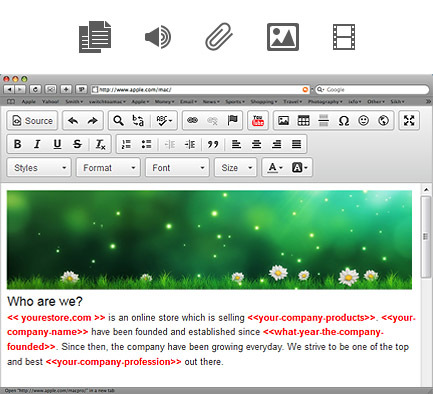 You can create “about us”, “faq” pages, contact form or banners easily. You can sell to local as well as overseas customers, shoppers can see product prices in their local currency with real time conversion updates. When order is placed, an email notification will be sent out to you and shopper. You can organize, search, and check all your orders from your control panel, whether orders have been shipped or are pending, then process them accordingly. 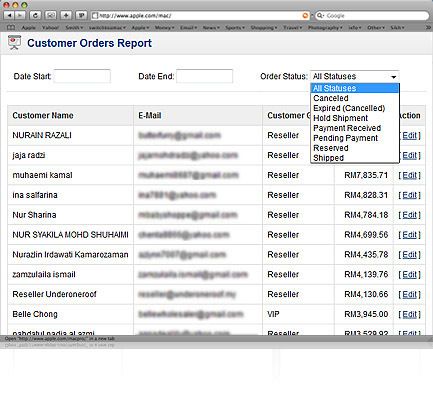 Product inventory is automatically updated when someone purchase at your store. 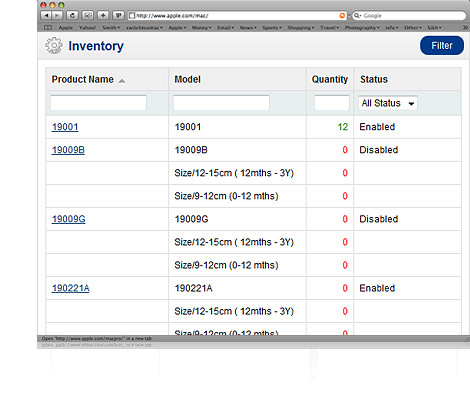 You can view entire inventory at both product and product option levels. Products with low stock level and out of stock are labelled with another color for easy viewing. 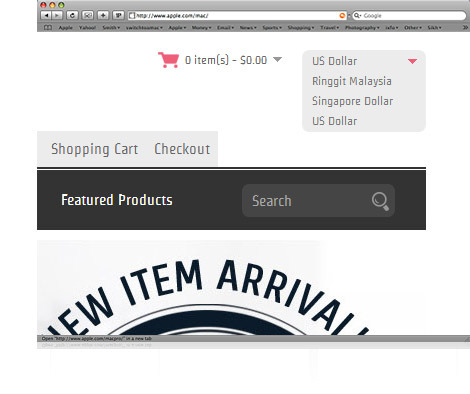 When no stock is available, purchase is disabled automatically.